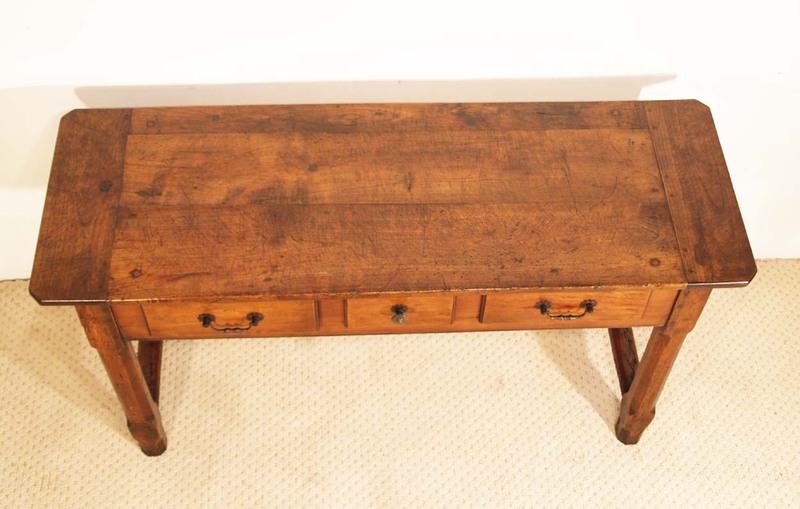 French antique cherry and oak 3 drawer server with end stretchers. 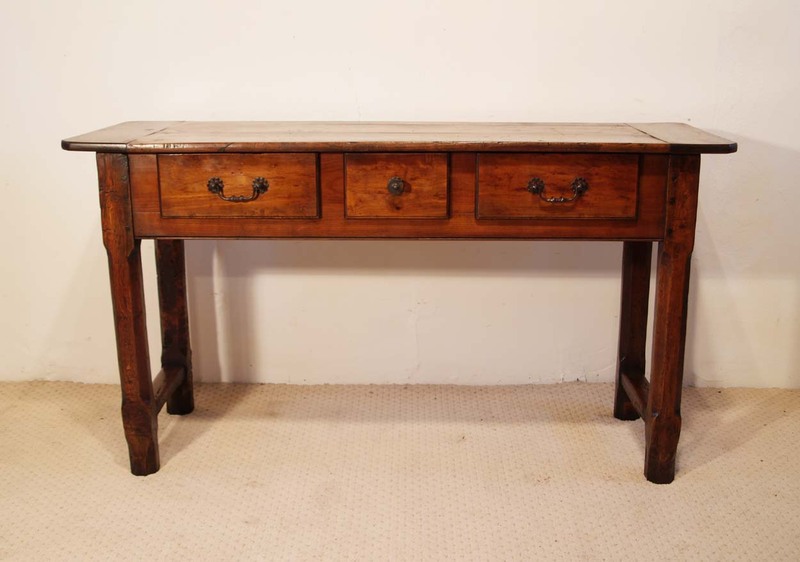 Originating from the Normandy region of France this 3 drawer server has cherry top, drawer fronts and frame and sits on oak legs. 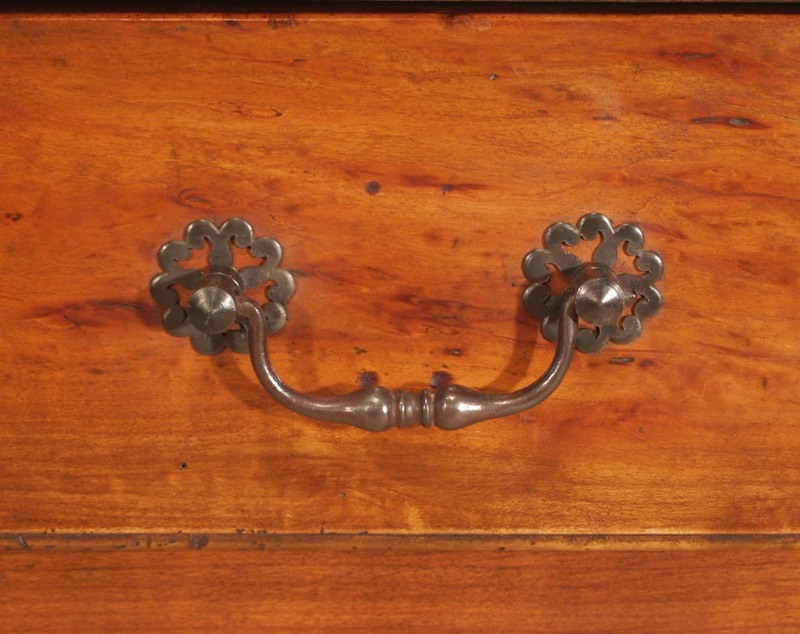 This was quite usual for the period as the maker would have used indigenous timber for the building of such a piece. 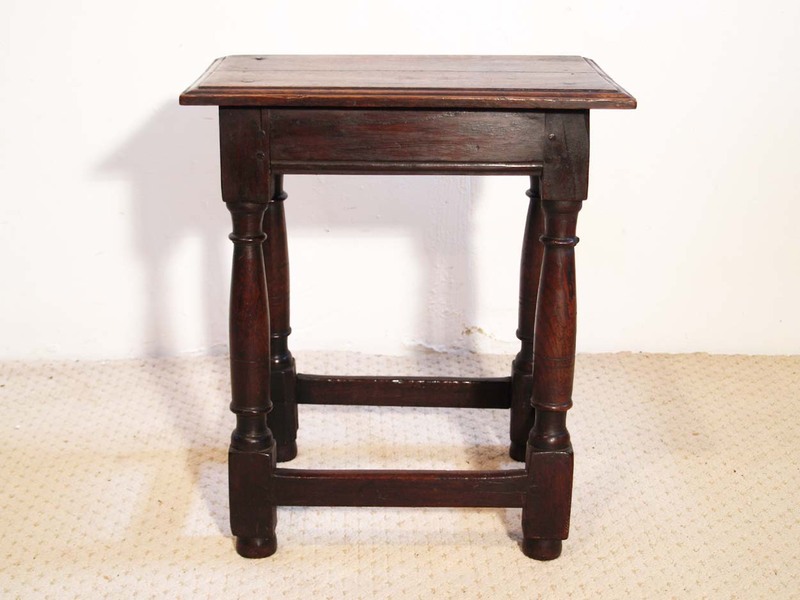 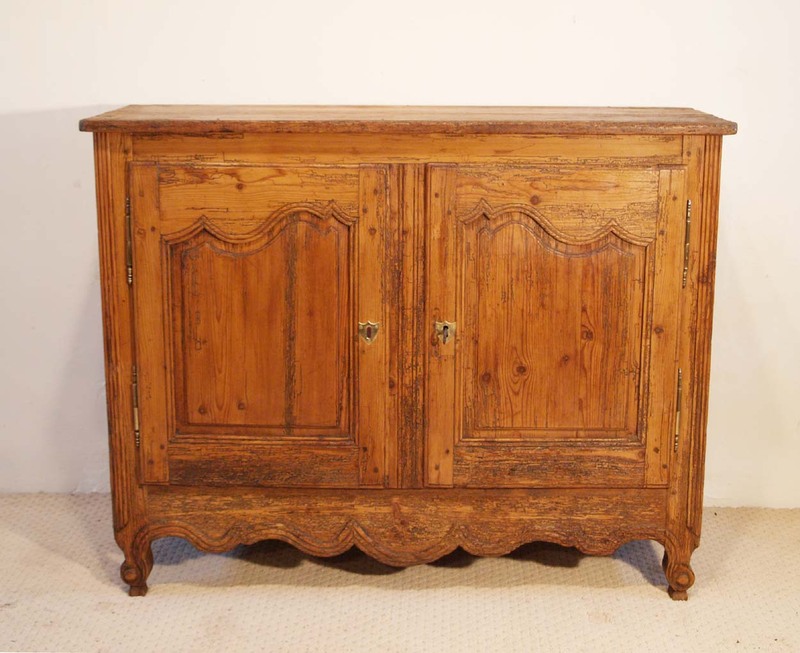 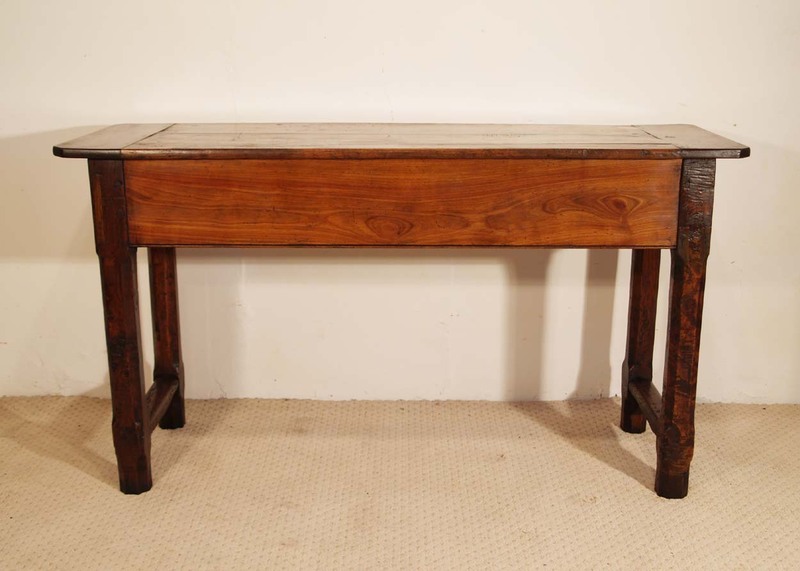 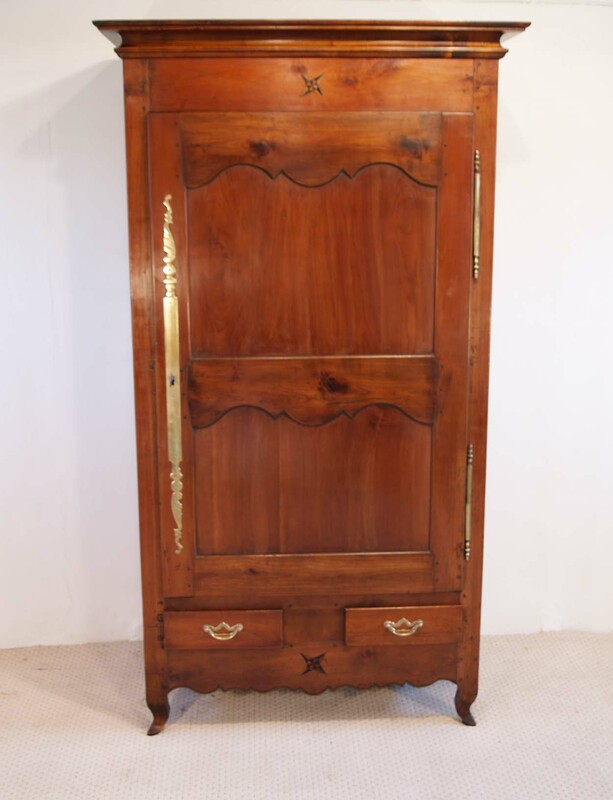 Dating from C 1830, it is a good solid piece incorporating end stretchers for rigidity. 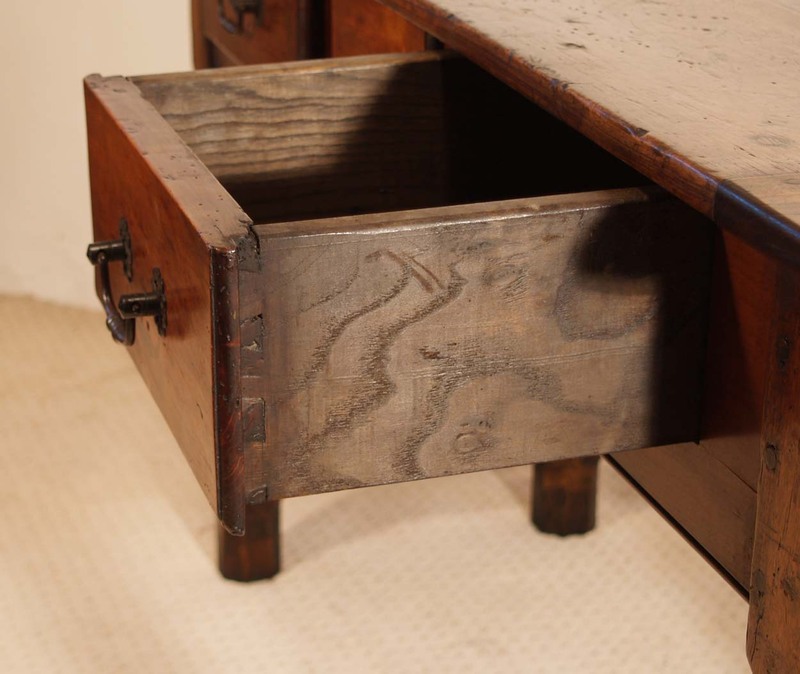 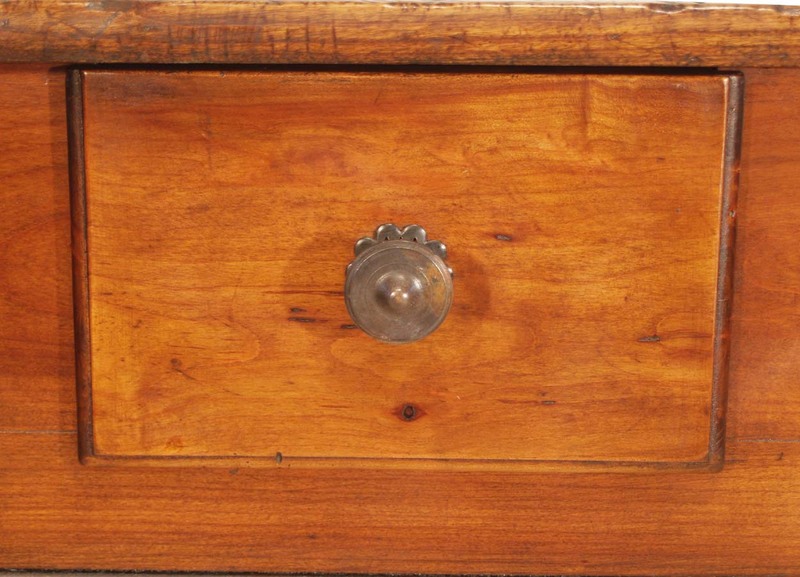 It has dovetailed drawers, with a large dovetail to the back of the drawer. 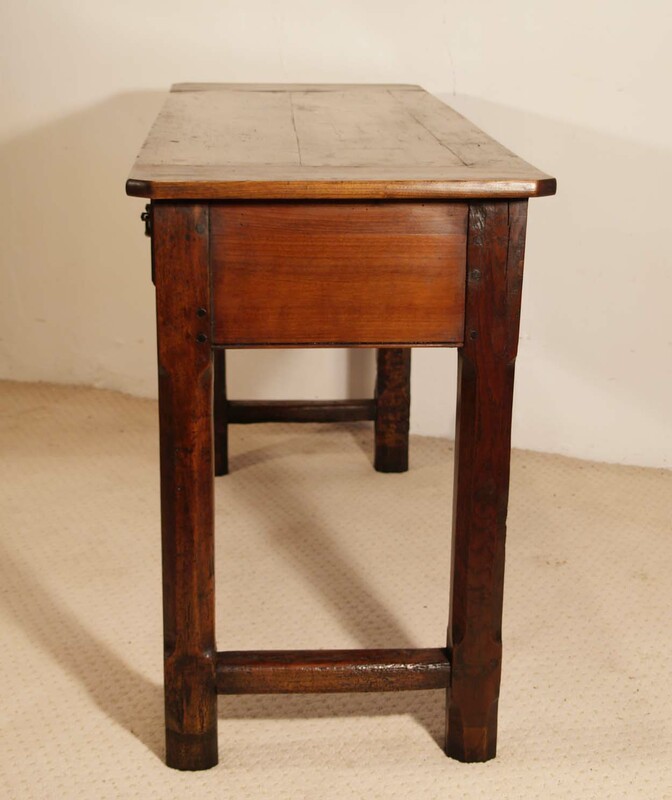 The top may have been replaced at some time, as it has some marks, which are inconsistent to the base, but if it has been, it was a long time in the past. 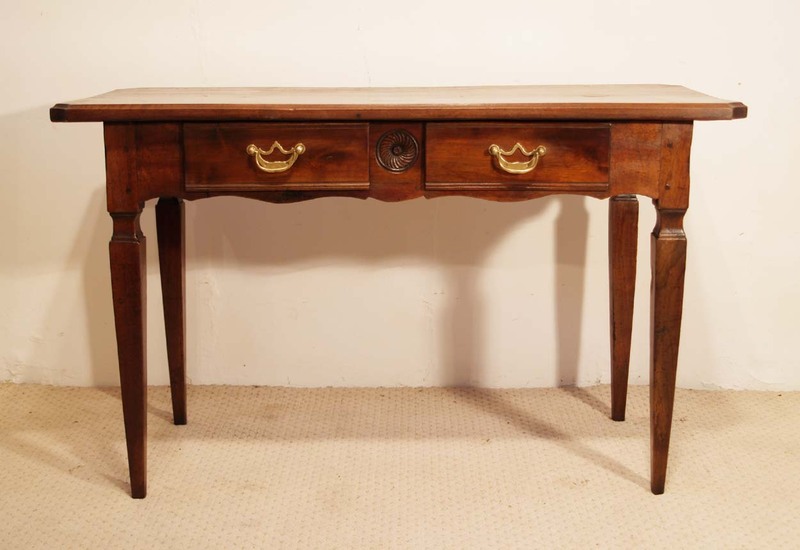 All in all a well proportioned piece. 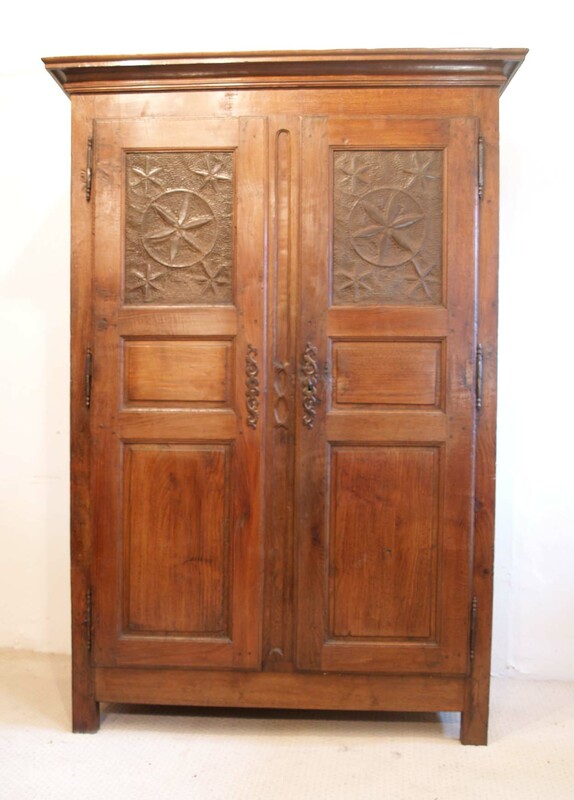 Dimensions: 141 cm ( 55.5″) long x 49 cm ( 19.25″) width x 76.5 cm ( 30.25″) height.